Who is going to question me? Should I go through the metal detector? What should I carry on-board vs. in my checked luggage? These are just a few of the questions that may be streaming through your mind in the short distance between the parking lot and the tarmac. 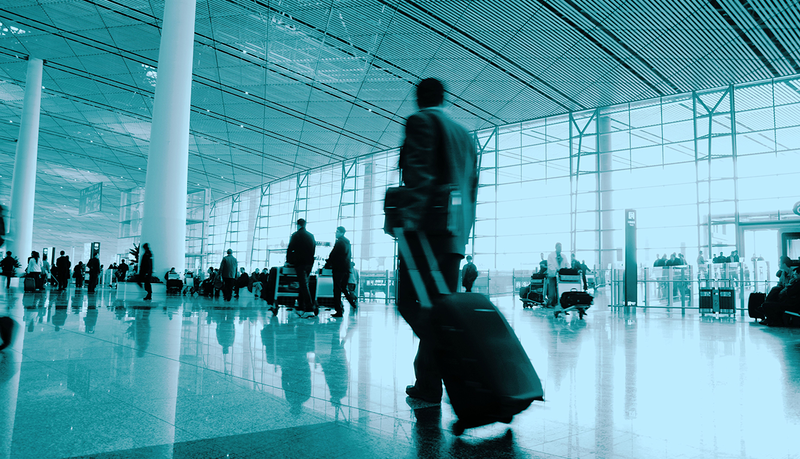 Security is often a nerve-wracking part of the travel experience for many individuals with diabetes. But it doesn’t need to be this way! Below we will share a few tips of how to make this process as smooth as possible. Further, under the link to Doctor Travel Letters, you will find template forms to print and use while traveling in order to have the information you need available to those who need to see it—no hassle necessary! Remember: the process begins way before you arrive at the airport! Always discuss questions with your diabetes team well before the date of departure. If you are still feeling unsure then it may be a good idea to check with the information provided about your specific airline’s policies. Some airlines may have helpful information on their website or a number that you can call to find answers to your questions before the day of departure. TSA officials should be adequately trained in procedures related to a traveler with medical equipment. But in case they are uncertain about part of the process, be sure that YOU know what you can and cannot do. As you begin the packing process with security in mind, it may be helpful to download the My TSA Mobile application (online version at apps.tsa.dhs.gov/mytsa). This will help guide you through the process from what you can bring all the way down to live wait times for specific airport security venues. The metal detectors will be one of the first steps of the security process. Metal detectors are fine for your diabetes equipment, but do NOT go through the X-ray machines or full body scanners. These machines can damage electronic components of CGMs and insulin pumps! Request a hand-wand inspection instead. Keep glucose tablets and long-acting carbohydrate snacks available. But remember, liquids will NOT be allowed through security. Keep money on you, and plan to purchase a fruit juice or other sweet drink to keep on hand during the flight in case there is a moment when the food you need is not available. There are certain practices not required by TSA, but which may expedite the security process. These include carrying your medications in their prescription bottles or original packaging, as well as carrying prescription copies. Having medications and equipment in clear sealable bags is also a good idea. Remember, you have the right to carry the medical monitoring equipment and food that you need to manage you condition! Carrying a medical identification document as well as doctor’s forms will help you to smoothly navigate the security process. If a member of security personnel does confront you, always remain calm and inform them of your traveling situation. If they do not understand, ask to speak with another representative. The Sansum Diabetes Research Institute was founded in 1944 by Dr. William Sansum, the first physician in the United States to administer insulin to a person with diabetes. Our mission is the prevention, treatment, and cure of diabetes. www.diabetestravel.org was created in August 2015 as a free online resource for the diabetes community. Before setting off, we will walk you through the travel process with diabetes considerations in mind—what to pack, letters for travel, airport security, beach day advice and more! Dr. David Kerr MD is the Director of Research and Innovation at the Sansum Diabetes Research Institute in Santa Barbara, California. Dr. Kerr has decades of experience in the field of diabetes treatment and care, previously working as a Consultant Physician at the Bournemouth Diabetes and Endocrine Centre in the UK. www.diabetestravel.org is the second online resource he has created, www.excarbs.com is a sister site which focuses on exercise and insulin. Jenny Martinez is a Project Coordinator with the Sansum Diabetes Research Institute. She is a graduate of Westmont College and specializes for the Center on programs related to community behavioural change as well as diabetes and international travel. The development of this website was supported by the Mosher Foundation. We are committed to supporting travellers with diabetes around the globe. Contact us to share any questions you have, or suggestions to make the site more helpful! Copyright © 2015-2018 Diabetes Travel. All rights reserved. The development of this website was additionally supported by an unrestricted grant from Sanofi. However, Sanofi has in no way influenced the views expressed in this page. All opinions expressed are personally those of Dr. David Kerr.